A revolutionary constitution by a democratic leading S1 rally. Focused on an end to class antagonisms, the Invicta S1rally Collection brings about change and makes what was once in reach to only a few, affordable to all. Commanded by automatic or professional quartz chronograph movements housed within surgical-grade steel cases, the Invicta S1rally is prepared for war and ready for peace. 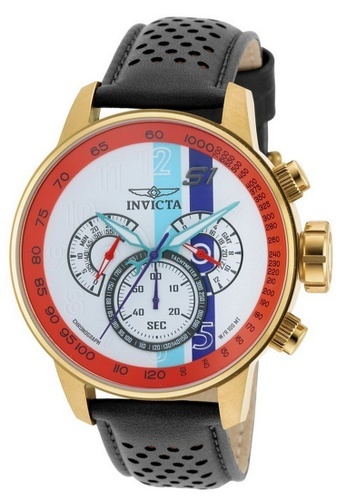 Can't find Invicta S1 Rally Men Chronograph IP 48mm Quartz Tour Watch 19901 in your size?